Pushing blockages away from the homeowners property and into the mainline is what this nozzle was born to do. No rear thrust keeps this needed tool from adding fuel to the fire. 7 forward-facing jets ensure that there is only one direction for debris directly in-front. A replaceable front jet lets this nozzle be used on flows from 12 to 25 GPM. 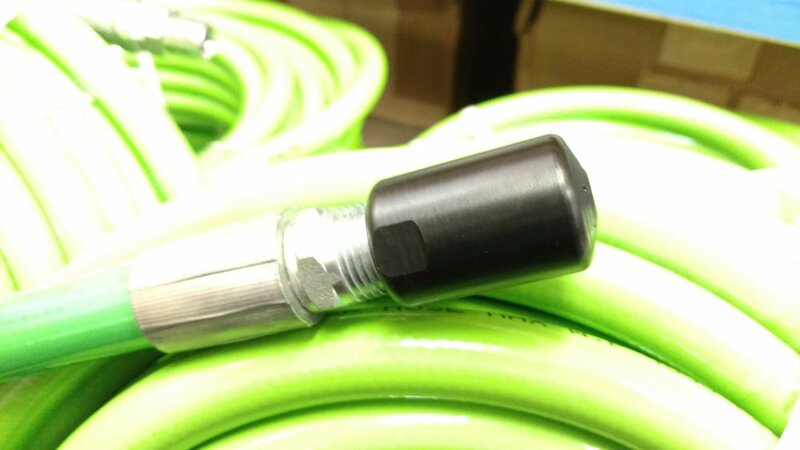 Only available for 1/2" water systems (hose kits available for adapting down from 3/4" water systems). This nozzle is intended for 3" & 4" lines. Larger lines (larger than 4") should produce a scenario when this nozzle won't work well. This is expected to be pushed in manually up to the blockage and then pressure applied.